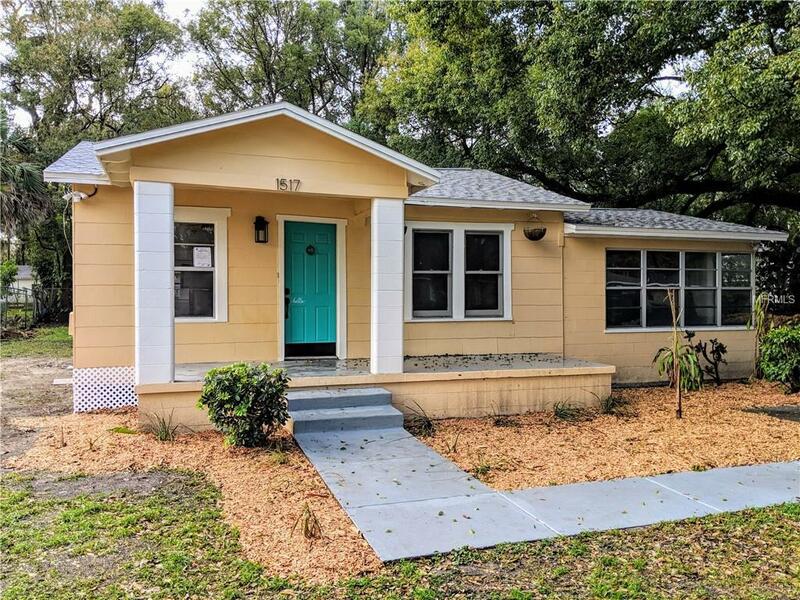 *UPDATED PHOTOS COMING SOON* Fully renovated Ybor bungalow on a double-lot with historic details like refinished heart-pine floors and classic subway tile. New paint, new landscaping, new kitchen with granite counters and stainless steel appliances, art-deco ceramic tiles in the wet areas, new bathrooms and fixtures, dual-flush toilets, indoor laundry room. New plumbing. New electric. New roof. New vinyl flooring in back of home. Tented for termites in Jan 2018. Exterior storage. Fruit trees. NO PETS. **$35 application per adult covering background, credit and prior eviction check. ** 1st and Last Months' Rent as Deposit.